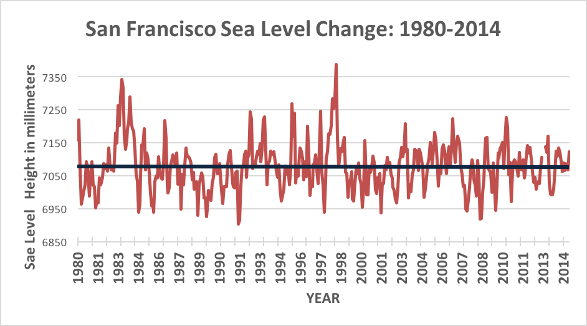 Intriguingly, San Francisco and North America’s west coasts have not experienced a rising sea level trend since the 1980s. 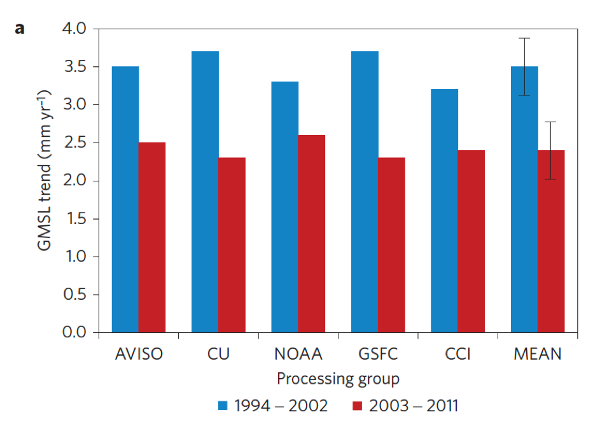 Equally curious, using the average estimates from all researchers the 2007 Intergovernmental Panel on Climate Change (IPCC) reported known contributing factors only explained 40% of 20thcentury sea level rise. So, there is still much to learn. Some researchers and politicians argue any accelerating rate of sea level rise must be the fingerprint of a human contribution as some models predict. But that is simply not true. 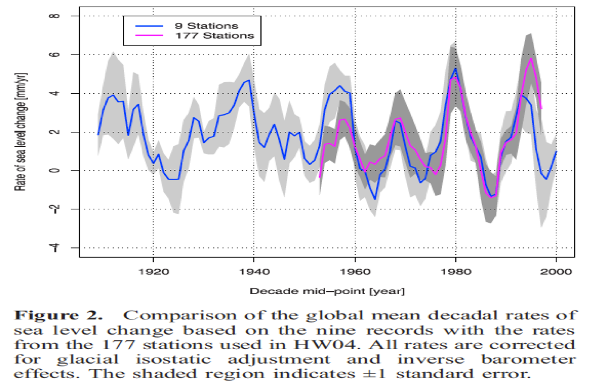 In a 2007 peer-reviewed paper, On the Decadal Rates of Sea Level Change During the Twentieth Century,researchers reported rates of sea level rise accelerated up to 0.2 inches/year every 10 years, followed by a decade of deceleration. Sometimes sea levels fell. Some of Mann’s followers believe it’s impossible for sea levels to fall in an age of climate warming. But they are ill-informed.